WikiLeaks founder Julian Assange has been arrested by UK police at the Ecuadorian embassy in London. The arrest comes after the Ecuadorian government withdrew his asylum. He had been in the building for almost seven years to avoid being extradited to Sweden. London's Metropolitan Police vowed earlier this month to arrest Assange if he were freed. Assange, who has lived in the embassy for more than six years, faces possible extradition to the U.S. for publishing thousands of classified military and diplomatic cables through WikiLeaks. "It is absolutely right that Assange will face justice in the proper way in the UK,” Europe minister Sir Alan Duncan said after the arrest. "It is for the courts to decide what happens next." Sir Alan said the move comes after "extensive dialogue between our two countries." UK Foreign Secretary Jeremy Hunt thanked Ecuador for their "cooperation." "Julian Assange is no hero and no one is above the law. He has hidden from the truth for years," Hunt tweeted. "Thank you Ecuador and President @Lenin Moreno for your cooperation with @foreignoffice to ensure Assange faces justice." WikiLeaks's Twitter account has issued a series of tweets defending Assange and asking for donations. "URGENT: Ecuador has illigally terminated Assange political asylum in violation of international law. He was arrested by the British police inside the Ecuadorian embassy minutes ago," one tweet said. 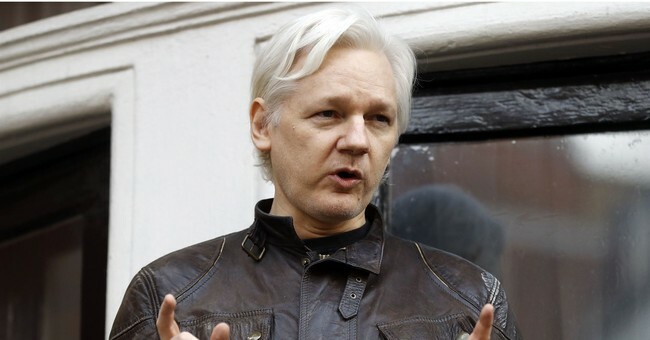 Jennifer Robinson, Assange’s attorney, said the extradition request came from the U.S.
Assange “has been arrested not just for breach of bail conditions but also in relation to a US extradition request,” she tweeted.